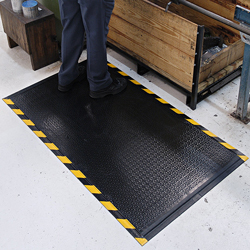 Happy Feet™ mats are versatile enough for production lines, as well as any industrial or commercial environment. • Static dissipative and safe for use in computer rooms and electrical parts manufacturing. Heel-resistant, for any type of shoes. 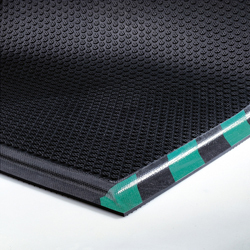 • Highly resistant to chemicals and petroleum products. • Select from two surfaces. 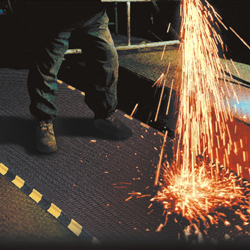 Textured surface: For dry/damp areas where traction is unnecessary. 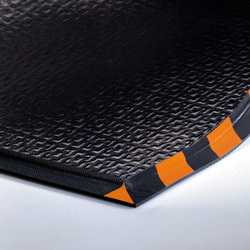 Grip Surface: For wet areas where maximum traction and/or scraping is needed. • Happy Feet™ Standard can stand up to the toughest industrial and assembly settings. Shipping was delayed/lost by UPS but xpressmats jumped right on the issue and even was sending a replacement same day. Luckily we were able to find the original order and have it delivered that day. 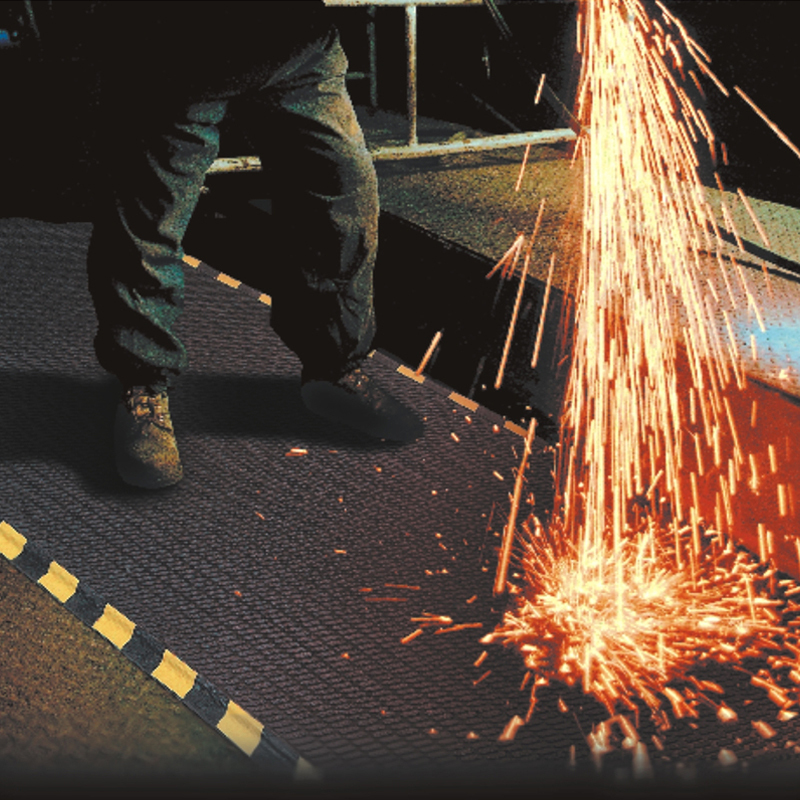 We love the mats and we have had many that don't work out. What can you say about a safety mat? It looks good in my hobby car shop and the tapered edges great for eliminating toe trips!